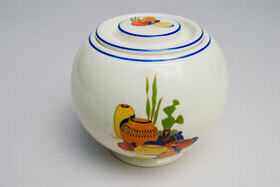 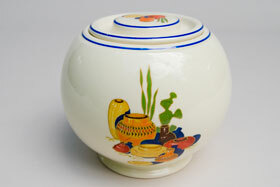 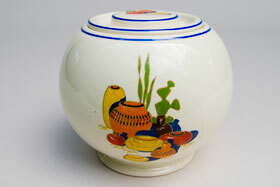 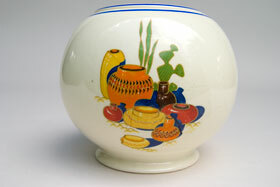 Circa 1937-1944: Kitchen Kraft was introduced by Homer Laughlin Pottery Company in 1937. 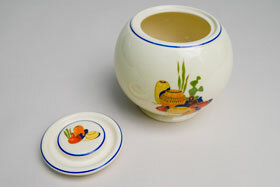 Originally designed to compliment the OvenServe line that had been in production since 1933. 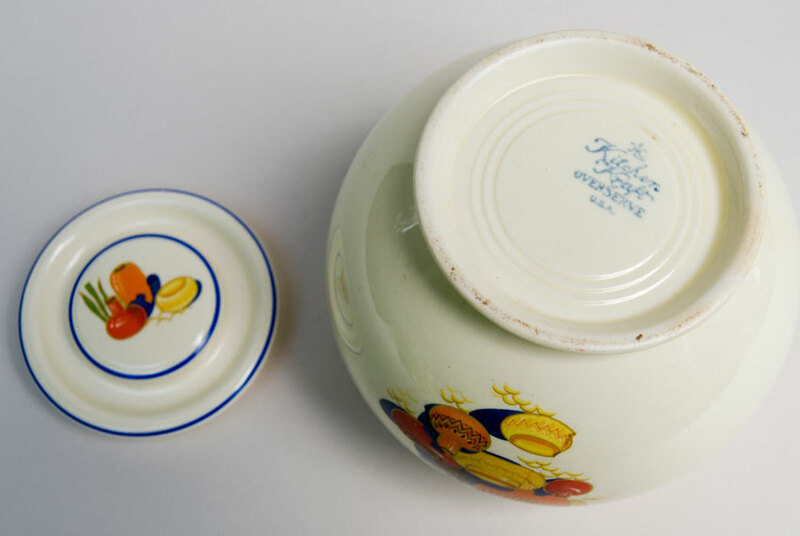 The earliest versions of kitchen kraft were produced only in ivory, with decals, and stamped with the "Kitchen Kraft OvenServe" backstamp. 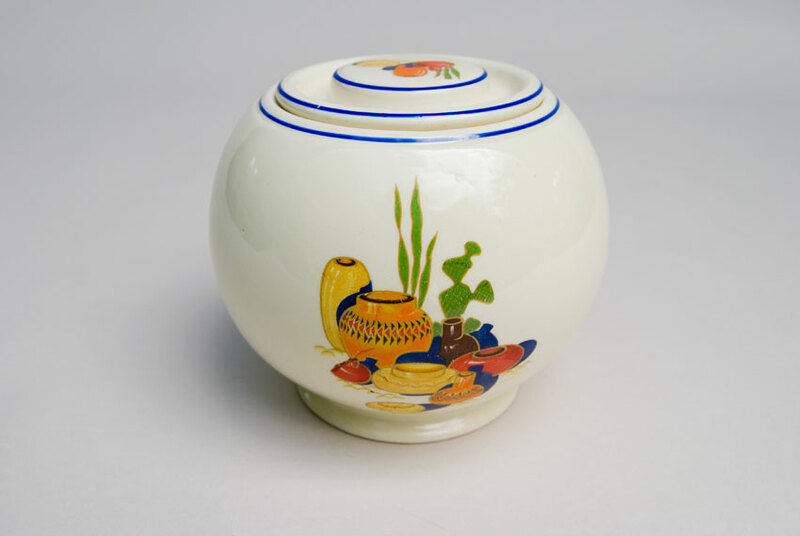 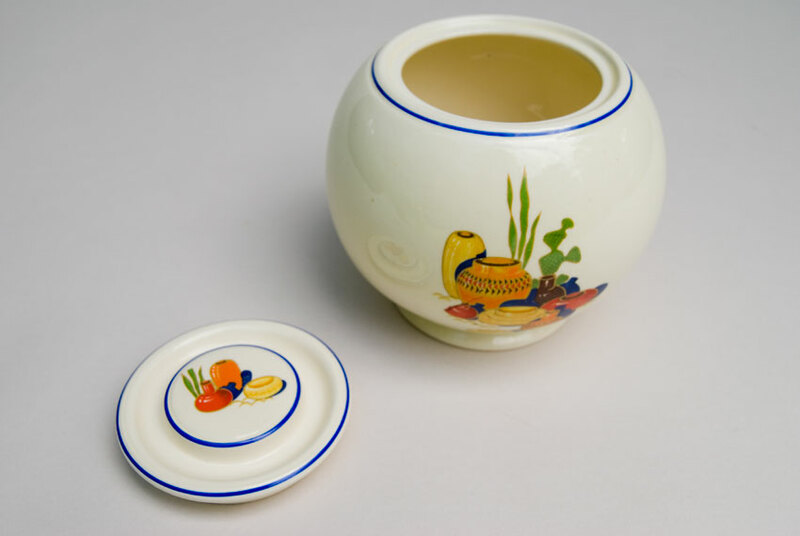 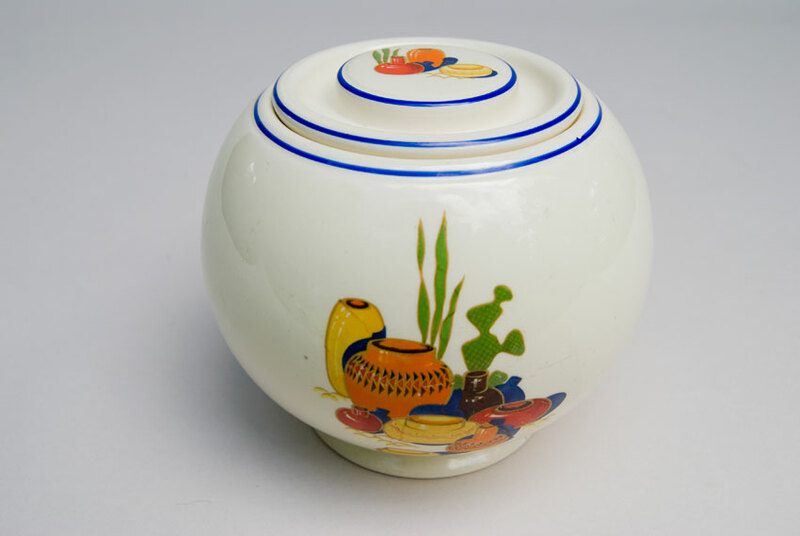 This Mexicana version of the medium covered jar is in fantastic original condition and compliments the nearly impossible to find striped fiestaware in both red and blue.